This situation came up with one of my clients, she’s lived and worked in the US for the past several years. Last year she married a foreigner and relocated to London. So what are the implications and considerations for her 2016 tax returns? The IRS terminology for a spouse that does not have a green card or resident alien classification is a “nonresident alien.” There are several options to consider when filing your tax returns. One of the most basic will be what filing status to use. This is an important choice because of the potential impact it may have on your spouse’s income and IRS requirements regarding the filing of future tax returns. Married persons can filed as either married filing jointly or married filing separately. There are pros and cons to each filing status. Generally married filing jointly will allow both taxpayers to take advantage of a variety of tax credits that they will not be allowed if they file as married filing separately. However, when filing married filing jointly, both taxpayers are liable for any tax debt resulting from the tax return, even if only one spouse had income for that tax period. One option is to treat the nonresident alien spouse as a resident alien for the purposes of filing your tax return. This will allow you to file as married filing jointly and received the benefits of that filing status. However, you must determine if the benefits outweigh the costs because under this option you will have to report your spouse’s worldwide income, thus making it subject to US income tax. In addition, you will have to complete a variety of paperwork including a statement of declaration, signed by both of you, that for tax purposes you both want to be treated as US Residents for that tax period. In additon, your spouse will have to apply for either a social security number or individual tax identification number (ITIN). That process alone will add approximately 7 to 8 weeks to the processing of your tax return. You also will not be able to electronically file your tax return as it will have to be mailed to a specific IRS office that handles these types of tax returns. If you choose this option, you will be required to continue to file your tax returns where both of you will be treated as either a US Citizen or Resident Alien until this choice is revoked because of changes in marital status, e.g. death, divorce, legal separation, or in writing by either spouse or the IRS. Another option is to treat the spouse as a nonresident alien. In this case your filing status may be married filing separately, or if you qualify, you may be able to use the head of household filing status. (See IRS Publication 17 for details on which filing status will apply and for details on claiming dependents and exemptions.) This option will be simplier because no additional paperwork will be required as in the option noted in the previous paragraph. In addition you may be able to claim an exemption for your nonresident spouse, Publication 17 will list the requirements in order to do so. However, the married filing separately filing status will disqualify you for certain tax credits. See IRS Publications 17-Your Federal Income Tax Guide for Individuals, IRS Publication 54- Tax Guide for US Citizens and Resident Aliens Abroad, and IRS Publication 519- Tax Guide for US Aliens, for more details and IRS requirements, regarding the information in this post. This is general information, not advice, regarding the subject matter and does not provide the answers or solutions to your specific situation. 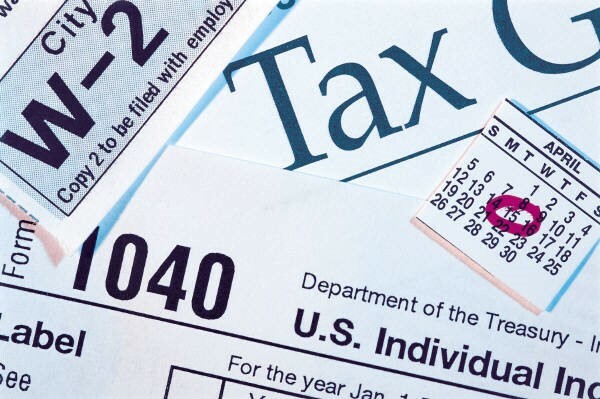 Contact a tax professional or the Internal Revenue Service to discuss the specifics of your situtation.